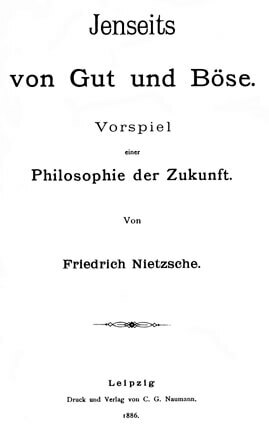 Beyond Good and Evil (1886) is one of Nietzsche's most studied and oft quoted works (see Chapter IV). 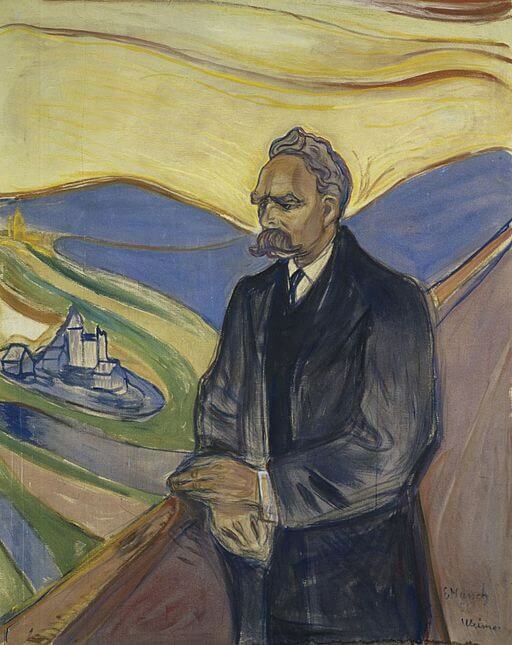 We offer the translation by Helen Zimmern published in The Complete Works of Friedrich Nietzsche (1909-1913) . He's a particular fan of numbering his thoughts and all-capital phrases which gets our attention, as if being shouted. Chapter IV's title includes this twenty-five cent word: "APOPHTHEGMS" which means a concise phrase, or aphorism.This is where you will find a treasure trove of Nietzsche quotes. Chapter IX - What is Noble? Return to the Friedrich Nietzsche library.